George and Harold are having a normal kind of week. Yesterday they found out they were going to flunk fourth grade. Today they’ve created an evil, super-powerful monster. She’s mean. She’s got a fake-fur Evil Baddie costume – and she’s having a REALLY bad hair day. Even worse, she’s armed with Spray Starch, the only weapon that can stop Captain Underpants in his fight for Truth, Justice and all that is Pre-Shrunk and Cottony! 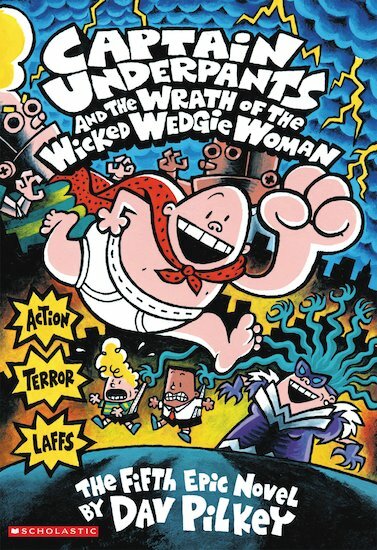 With the help of her robots, the Wicked Wedgie Woman is on a mission to take over the world… and she’ll give a whopping wedgie to anyone who stands in her way! Watch out! 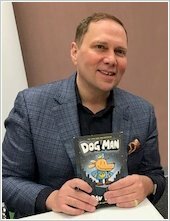 Do you know that Captain Underpants is so good it laughed my head off and People said “idiot big fat lier” and i thouht it was so so funny. This book is sooooooo goooood! This book was Funny when I was read it and I also enjoyed reading most of the book! This book is SO funny! :D (Just like real life if you go to my school!!! :D :D :D) I would reomend this book to anyone from 7 – teen!